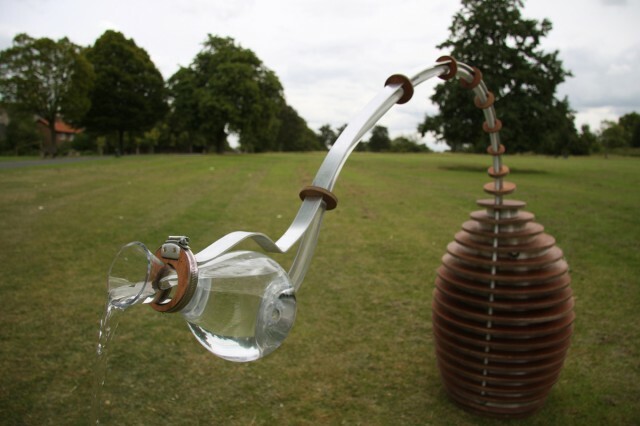 The “Tropism Well” is a sculptural drinking fountain that, when approached, bends and pours a pitcher of water. The sculpture is by the UK-based Poietic design studio. 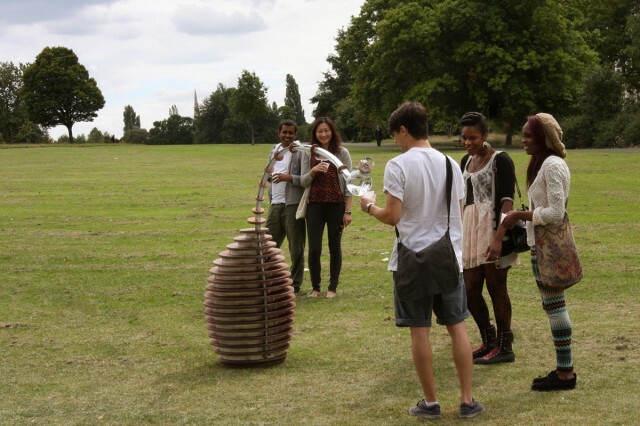 An elegant sculptural installation piece, The Tropism Well is both beautiful and intriguing. It is also unashamedly functional, existing simply to quench your thirst. When you approach one it will gently bow down and pour water into your glass. Through the synthesis of nature and technology, these structures explore the relationships we have with objects and spaces that surround us on a daily basis. The simple gestural connection creates a stimulating and symbolic moment.